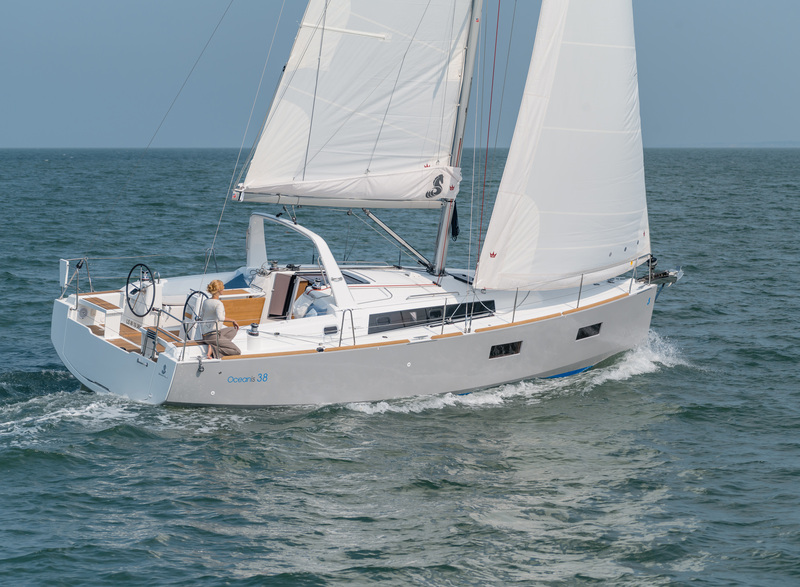 The Freedom 38 is the later generation of Freedom Yachts, with a more conventional sailplan, but remaining with the carbon mast famously pioneered by this company. Forever Freedom is absolutely fully loaded for short-handed long-range cruising and liveaboard, with a vast inventory including generator, watermaker, aircon, loads of electronics and much more. 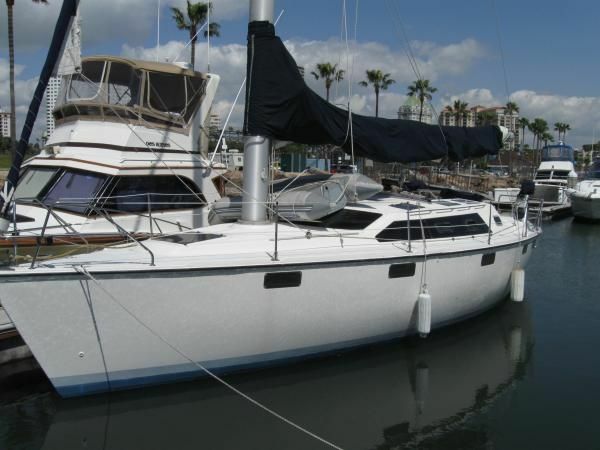 If you are looking for a boat at sensible money to sail into the sunset, this is it. 1 X 200 liter inflatable water tank under Starboard Saloon berth. 1 X 100 liter inflatable water tank in lazarette. Hot water from engine heat exchanger and AC powered C-Warm hot water tank under galley sink. Holding tank (34 L) with electric pump out. 1 X 140 liter aluminium fuel tank under berth in rear cabin. Fuel gauge and top access to tank. Portable A.S.A.P. Fuel Polishing System. Two further lockers and drawer unit. Under berth storage. One portlight and one overhead hatch. Laminate bulkhead lining, basin with H&C mixer-tap / shower head, shower drain sump with automatic bilge pump, shower curtains and Jabsco manual toilet. Towel rail, 2 X lockers. Heads can be to holding tank or direct to sea. 240v power socket in upper locker. Deep food storage locker, five utensil lockers and two knife drawers. 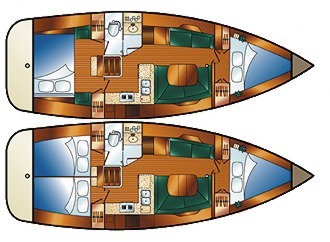 Port Side: L-settee berth, convertible to small double, with leecloth. Two vented lockers and bookshelf. Drinks rack behind lift-up table; table with fold-out leaf. Air-con unit under berth with intake under berth and outlet in bookshelf. Three lockers behind berth back cushions. 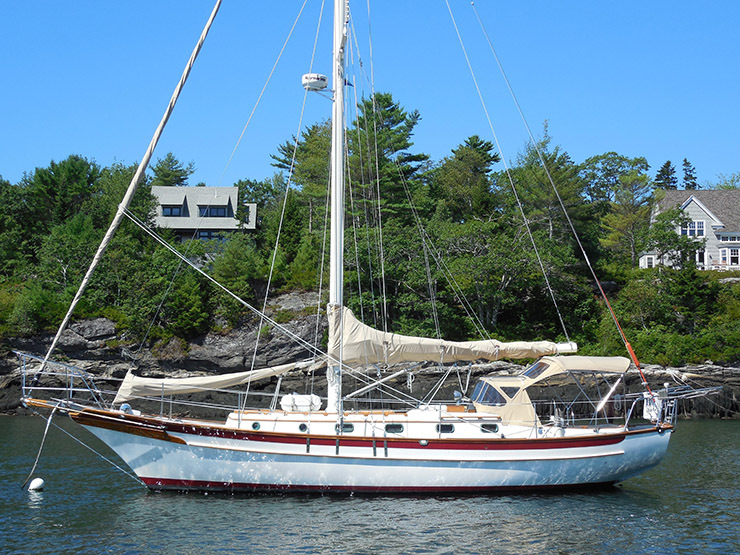 Starboard Side: Single berth with leecloth, and watertank underneath. Hanging locker, three lockers and bookshelf. Two LED lights. LED RED light. Wood lined Starboard side double berth, shelving, hanging locker and shelved locker. Three portlights. Two LED lights. Sloop - freestanding carbonfibre mast with full height steps, alloy boom. 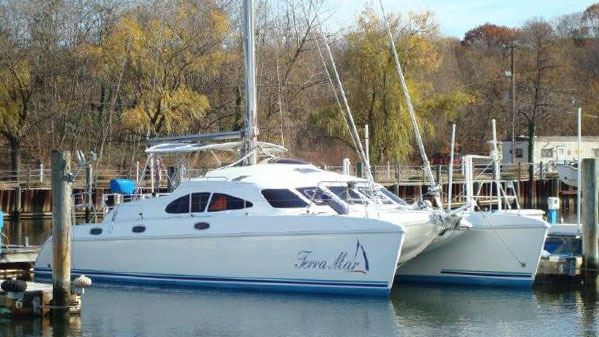 2-piece “Shade Tree” sun awning - covers yacht from aft end of boom to bow.